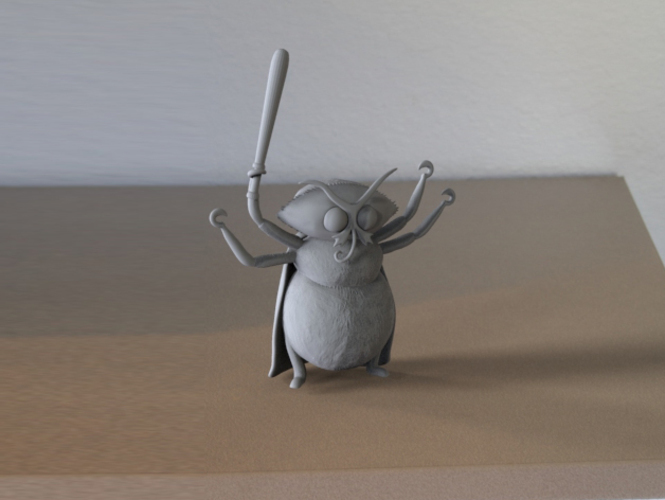 Abraham, the mutant moth from "Marvin and the Moths"
This giant, super-intelligent mutant moth has a love of baseball and a lack of patience. Abraham thinks very highly of himself, so his sarcastic wit and glib tongue (er, proboscis) often get him into trouble. 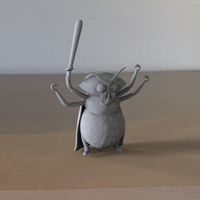 Fortunately, our 3D model of Abraham comes equipped with a separately printed detachable baseball bat to fight villains. Play ball!